JAUCHZET, FROLOCKET! (Shout for Joy! 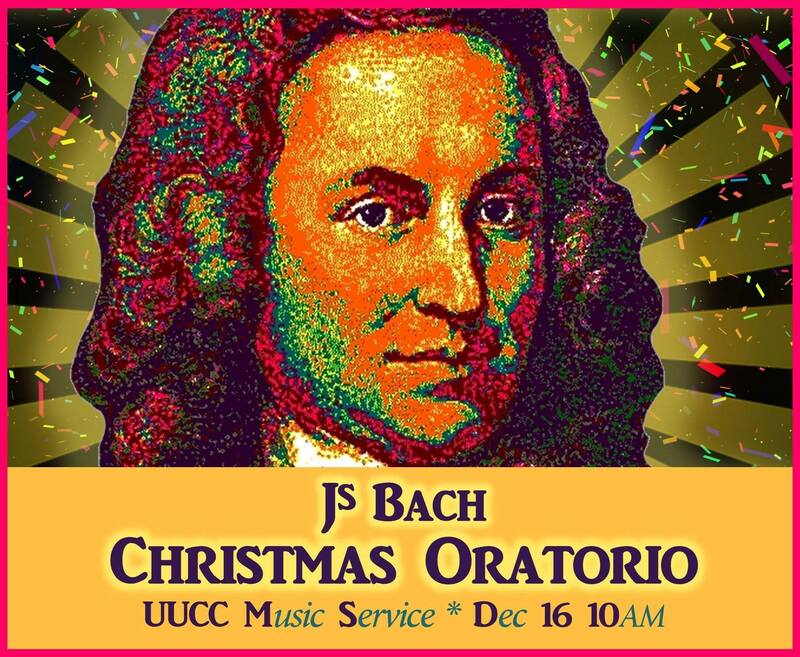 )- highlights of the brilliant and moving Christmas Oratorio of J.S. Bach. With the Chalice Choir, Michael Adcock at the mighty organ (playing an entire orchestra), vocal soloist Diana Cantrelle, and the Centennial Brass Quintet, conducted by Tom. Some of the most exciting and touching music ever written. Come early for a good seat, and/or come to the Open Rehearsal, December 13 at 7 PM.